As has been the custom for a couple of decades now, Easter is the time for demo parties. This year is no exception. 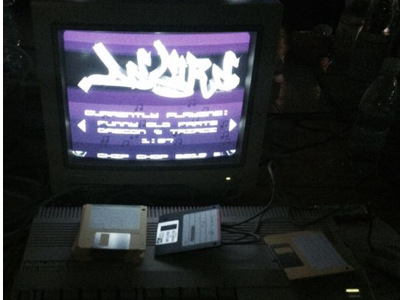 Some Amiga stuff has already been released at the Revision 2015 demo party in Saarbrücken, Germany. The party is still on and you can follow it through live streams here http://2015.revision-party.net/live. The most important (in my opinion.. hehe..) competition, Amiga demo, will take place tonight at 22:00. If I’m not mistaken you can watch this compo live from home, so be sure to check out the Revision homepage if interested. The timetable is here: http://2015.revision-party.net/events/timetable. No videos up yet, but will post some of them once they are available. 🙂 To watch these demos you must run them on a real Amiga or through an emulator. If you follow the links from here you’ll get to a page where a download is available.